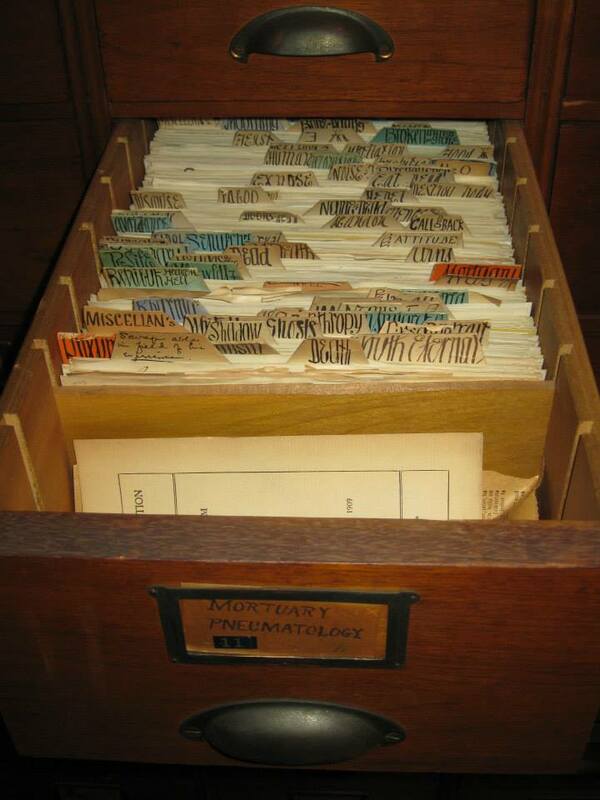 Databases as collections of data are not a new phenomenon. Several centuries ago, collections began to emerge all over the world, as for instance the manuscript collections of Timbuktu (in medieval times a centre for Islamic scholars) demonstrate. The number of these manuscripts is estimated at about 300,000 in all the different domains such as Qur’anic exegesis, Arabic language and rhetoric, law and politics, astronomy and medicine, trade reports, etc. Usually the memory of many people does not go back so far. They might relate today’s databases with the efforts of establishing universalizing classification systems, which began in the nineteenth century. The transition to digital databases took place only very recently and this explains why many databases are still underway to digitization. I will present the database eHRAF World Cultures to illustrate this point. This online database originated as “Collection of Ethnography” by the research programme “Human Relations Area Files” that started back in the 1940s at Yale University. The original aim of anthropologist George Peter Murdock was to allow for global comparisons in terms of human behaviour, social life, customs, material culture, and human-ecological environments. To implement this research endeavour it was thought necessary “to have a complete list of the world’s cultures – the Outline of World Cultures, which has about 2,000 described cultures – and include in the HRAF Collection of Ethnography (then available on paper) about ¼ of the world’s cultures. The available literature was much smaller then, so the million or so pages collected could have been about ¼ of the existing literature at that time”. From the 1960s onwards, the contents of this collection of monographs, journal articles, dissertations, manuscripts, etc. have been converted into microfiche before in 1994 the digitization of the database was launched. The first online version of the database “eHRAF World Cultures” was available in 1997. This digitization process is far from accomplished. Up to now additional 15,000 pages are converted from the microfiche collection and integrated in the online database every year. Currently the database contains data about more than 300 cultures worldwide. So what does make this database proto-digital then? First of all it is the research function. When the subject-indexing – at the paragraph level (!) –was done, it was done manually. The standard that provided the guidelines for what and how to index the content of the texts is called the Outline of Cultural Materials and was at that time very elaborate. It assembles more than 700 topic identifiers, clustered into more than 90 subject groups. The three digit numbers, e.g. 850 for the subject group “Infancy and Childhood” or 855 for the subject “Child Care” ought to facilitate the search for concepts and retrieve data also in other languages than English. And although Boolean searches allow combinations of subject categories and key words, cultures, countries or regions, one has to adapt the logic of this ethnographic classification system in order to carry out purposeful search operations. The organisation of the database was obviously conceptualised in a hierarchical way. If you want to get a particular piece of information, then you look up the superordinate concept and decide which subjects of this group you will need to apply to your research to get the expected results. Secondly, although the “Outline of Cultural Materials” thesaurus is continually being extended there is no system for providing updates. Only once a year a new list of subject and subject groups is published (online, in PDF and in print). Thirdly, data that would contribute to better localise cultural groups, such as GIS data (latitude and longitude coordinates) are not available in eHRAF. At last, users can print or email search results and selected paragraphs or pages from documents, but there is no feature to export data from eHRAF into a (qualitative) data analysis software. The “eHRAF World Cultures” database is also not compatible with OpenURL. The way from analogue to digital databases is apparently a long and difficult one. The curatorial agency of the database structure and the still discernible influence of the people who assigned the subjects to the database materials should now be a bit clearer.